Your new e-commerce website will be designed and built to be the perfect place to shop! 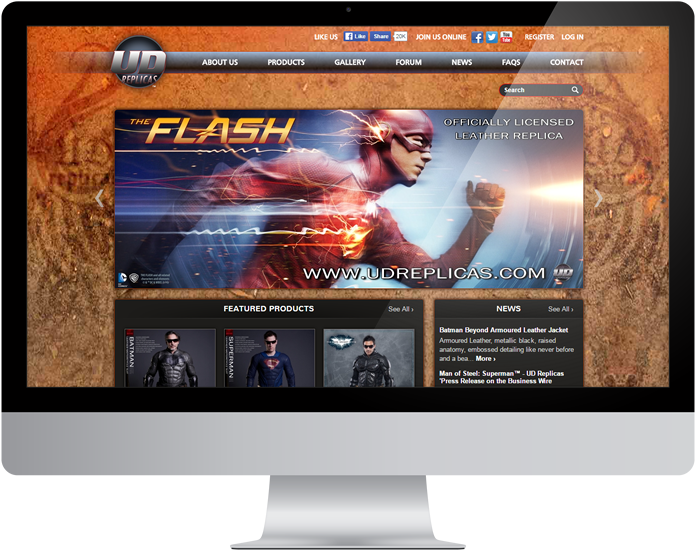 Globalgraphics is proud to be the most experienced e-commerce web design company in Birmingham and the West Midlands. Businesses choose us for their e-commerce website requirements because we can provide them with exactly what they require to effectively run their on-line businesses. We offer a superb range of e-commerce platforms for you to choose from. Whether you are a start-up business looking to sell on-line, or an established company looking for something more custom built to enhance your on-line presence, we have the solution for you! Choose to have your new website built in Magento, WooCommerce or Module Manager. For your new website choose either our Custom Design service to achieve a completely unique look , or for us to use a favourite Website Theme you have seen. Whichever design option you decide on, your new e-commerce website will look amazing and function perfectly. For each e-commerce website that we design and build we also offer an extensive range of on-line marketing services. Choose from our Search Engine Optimisation (SEO), Pay Per Click (PPC), Social Media Marketing, and Google Re-marketing services to get your website seen by customers! Custom Design or Website Theme Let us create your new ecommerce website to your exact, unique design requirements, or choose a Website Theme for us to use. World class ecommerce platforms Choose for us to build your new website using WooCommerce, Magento or Module Manager. The functionality you need We'll build your new ecommerce website with the exact functionality you require. Accounts and Delivery Choose to link your e-commerce website to accounts packages, delivery companies and more! All of our e-commerce websites are built using the best platforms available. If you're not sure which one would best suit your on-line requirements our e-commerce experts will be more than happy to discuss your project and recommend the best solution for you! Magento offers a robust and easy to use e-commerce solution that can take your website in any direction. The platform comes with a huge range of features that will let you effectively manage your on-line store. Choose also from the exciting selection of Magento extensions to further expand your website's capabilities. As one of the most experienced Magento developers in Birmingham you are in the safest of hands. WooCommerce has fast become the choice for many businesses because it offers an affordable, feature rich e-commerce solution. This platform integrates with WordPress and provides you with the same straight forward content management facility. WooCommerce also offers a superb range of plug-ins that will provide your new on-line store with the exact functionality you require. We are now the leading WooCommerce Agency in Birmingham and the Midlands! Module Manager is an excellent choice for those looking for a more customisable, flexible e-commerce platform. Developed over the last 10 years by Globalgraphics, this solution has a proven track record in providing on-line stores with performance excellence. This custom ecommerce solution is built to your exact specifications and requirements. Whatever complex functionality you require for your new e-commerce website, Module Manager can be customised to your own unique on-line requirements. Talk to the industry experts about your new e-commerce website today and receive a free quote!